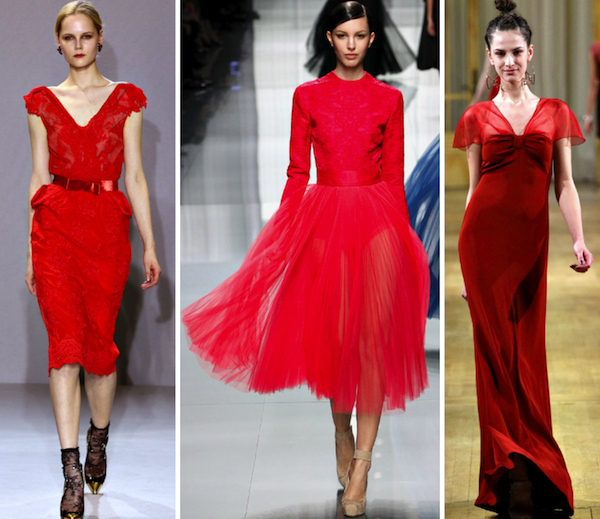 I have a guest post up at Miss Moss today & it's all about my favorite red dresses in the Fall 2012 Ready to Wear collections PLUS my favorite red dresses in movies. I couldn't fit all of my favorites into that one post (without making it wayyyyy too long), so here's a sequel! First go read / look at my post on Diana's blog though. 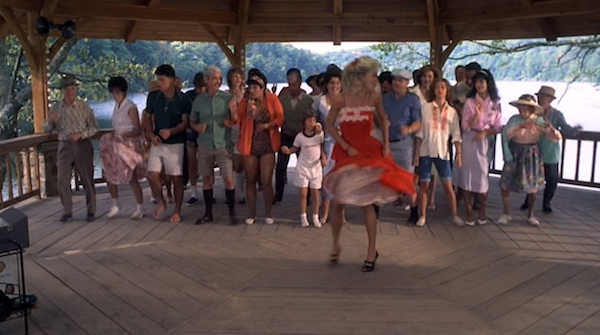 Here's some more shots of Rizzo dancing in her polka dot dress. 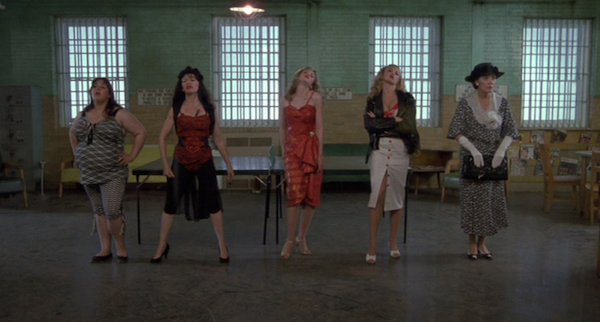 I watched Grease when I was way too young to be watching Grease (I feel like that's the case with most people though) because my I-have-Grease-memorized times coincided with my still-playing-with-Barbie-dolls times. 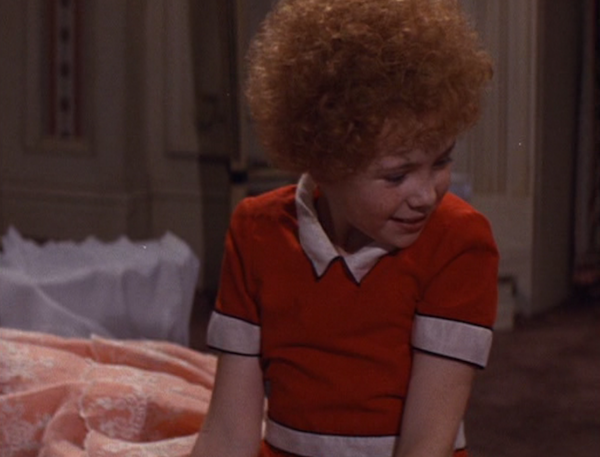 I had a dress for my dolls that looked like Rizzo's dress and that thing saw a LOT of wear. Loved it. A few more shots of Shoshanna in Inglorious Basterds. 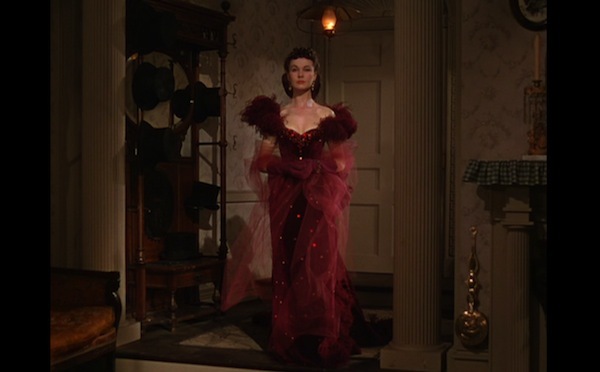 When she puts on this dress she knows that it's the last dress she'll ever wear. A fine choice for final-day-wear. 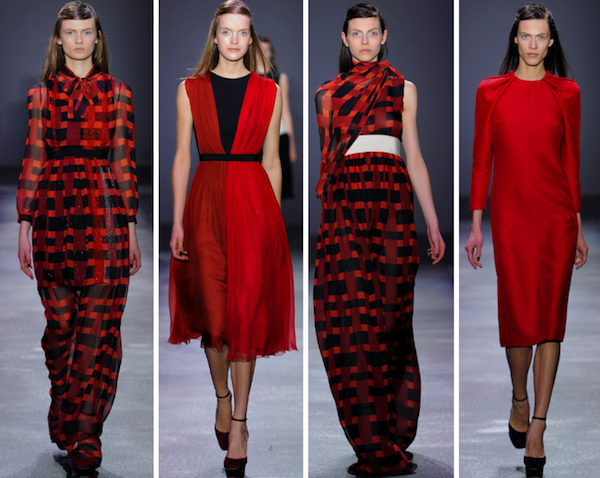 Melanie Laurent also wears an awesome red dress in Beginners. 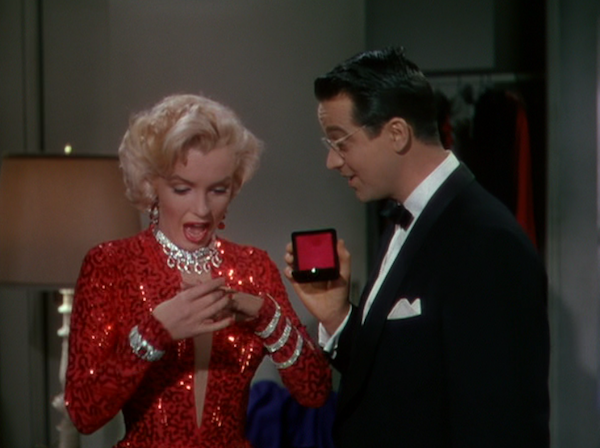 I guess costume designers just think she looks good in red. Which is true. 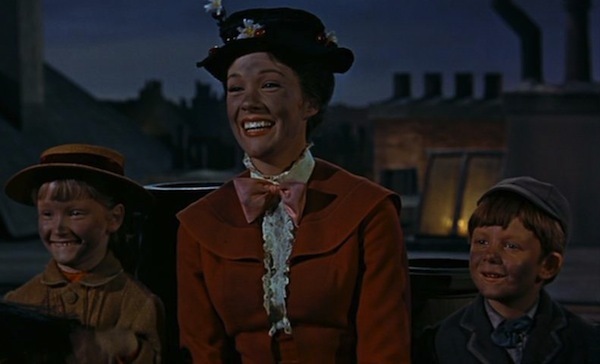 Mary Poppins in her red suit. So it's not actually a red dress.... but close enough. 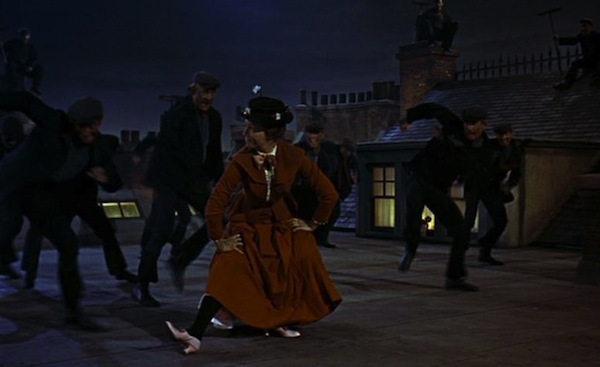 If these images ignite a desire to watch "Step in Time" you can go here to do so. annnnnddddd a few more of Satine in her amazing red dress with the built in corset (I love corsets). 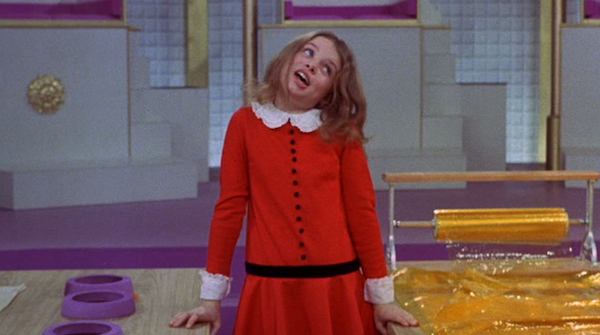 "Love lifts us up where we belongggg". 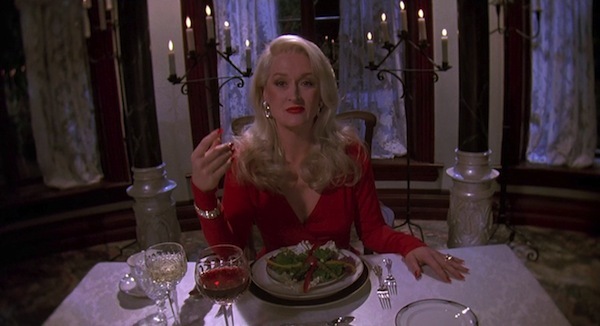 Some more of Cher rocking her little red dress in Clueless. I think that's the first time I ever used the word "rocking" in that way. I don't think I'm going to do it again. 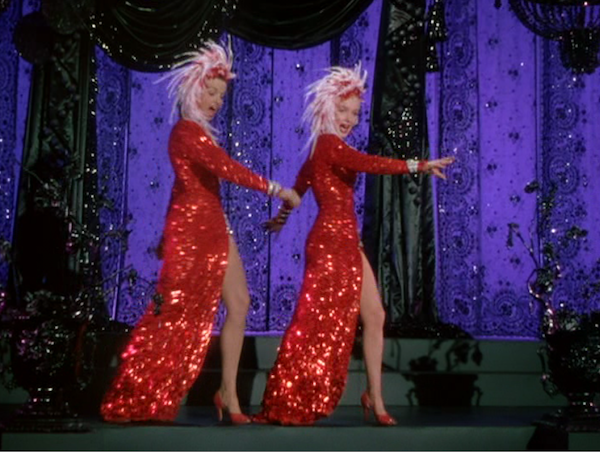 ... but Dustin Hoffman looks equally smashing in a similar one in Tootsie. Okay. 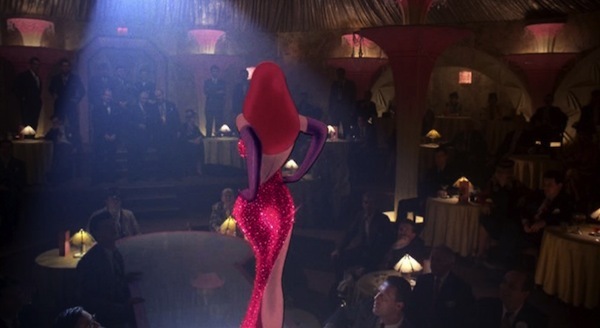 Now on to the movies I didn't mention over on Miss Moss. 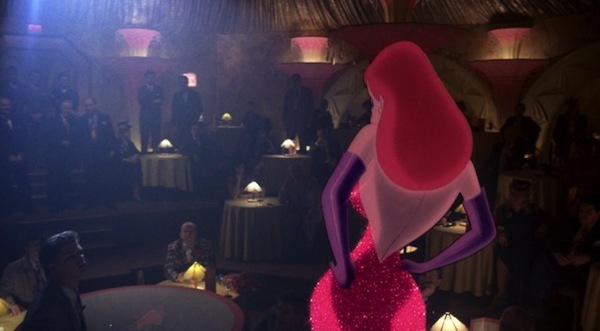 I loved nothing more than singing "Why Don't You Do Right" (watch here) when I was little & in a Jessica Rabbit tone of voice. Call it inappropriate if you want. But. It's fine. 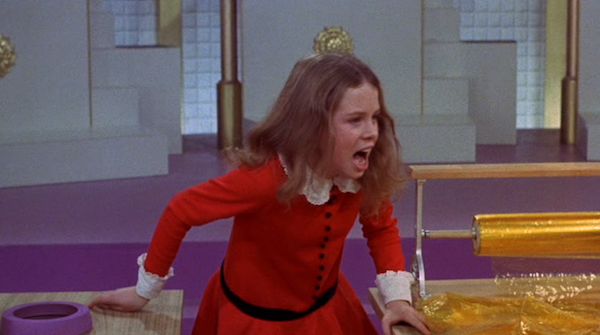 Another song I used to sing as a child (& still sing) that was originally sung by a girl wearing a red dress in a movie - "I Want it Now" (Veruca Salt in Willy Wonka and the Chocolate Factory). 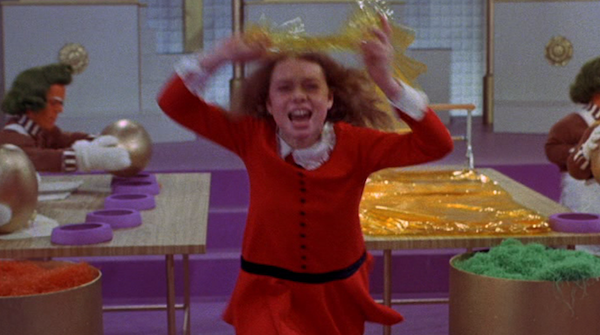 Annie definitely shares Veruca's sense of style. 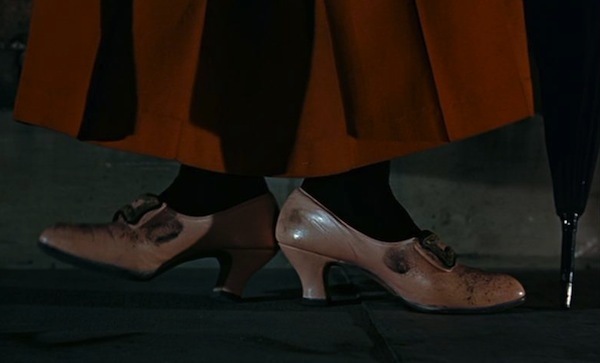 I wasn't crazy about The Curious Case of Benjamin Button, but I loved Daisy's dress. 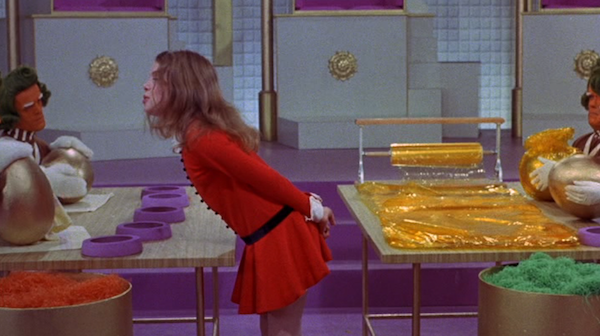 My sister's favorite red dress in film is Hermione's from Harry Potter and the Deathly Hallows: Part One. & she insisted that I include it in this post. 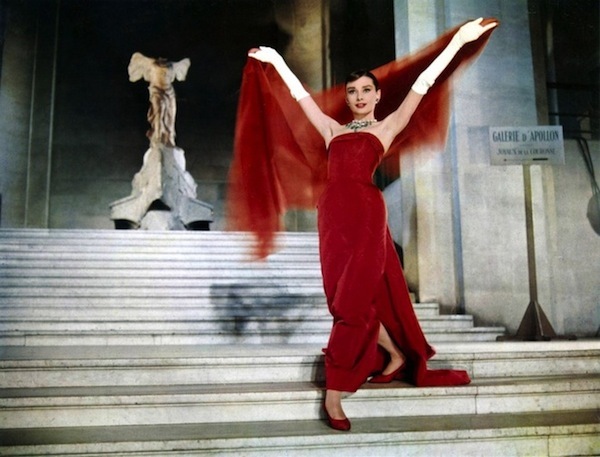 Audrey Hepburn in Funny Face. 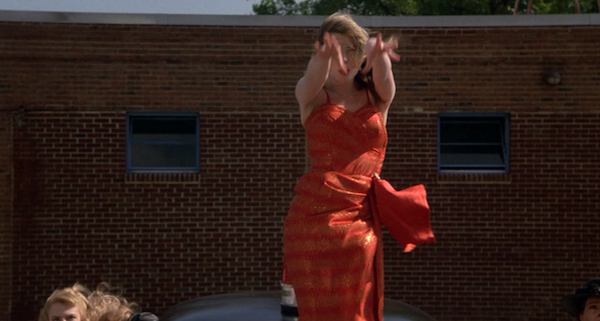 Renee Zellweger wearing a fringed red dress as Barbara Novak in Down with Love. I'm not a big The Notebook person, but I love everything that Rachel McAdams wears as Allie. 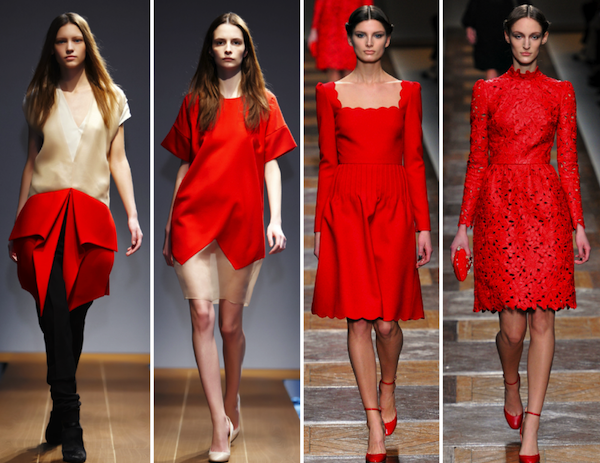 So much red! Even her bathing suit is red. Even the blanket she wraps herself in is red. 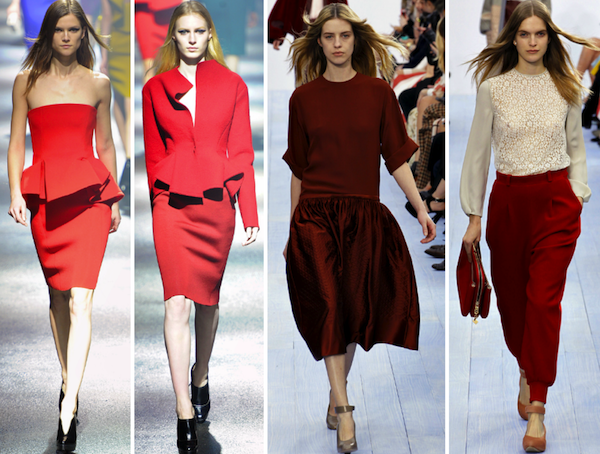 Red, red, red. Julia Roberts as Vivian Ward in Pretty Woman. 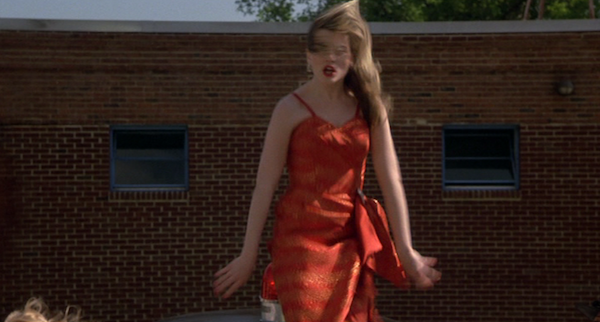 Two red dresses from teen movies that came out during my teen years - Laney Boggs in She's All That (after her "transformation" - what a difference taking your glasses off does, ha). 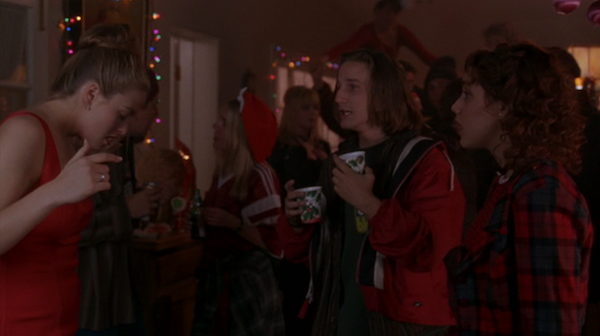 & Bianca Stratford in 10 Things I Hate About You. 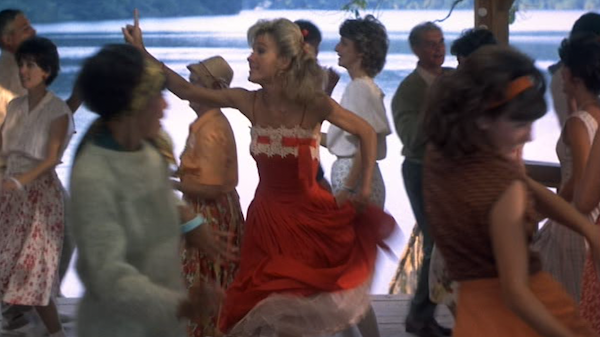 Penny with her wonderfully swishy dress in Dirty Dancing. 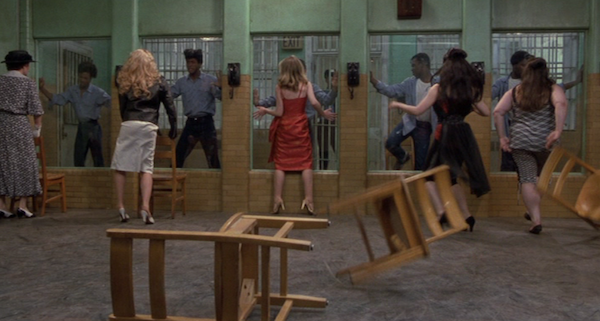 Allison (during the "Please Mr. Jailer" number) in Cry-Baby. 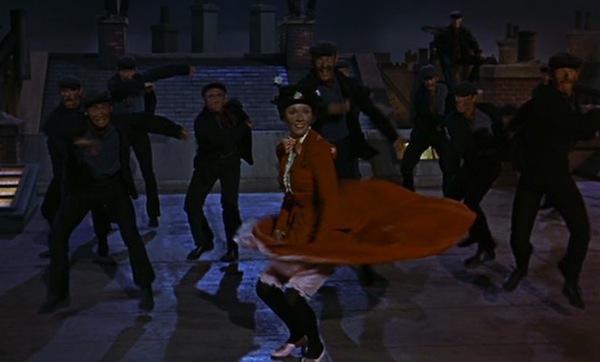 .... & Scarlett in Gone with the Wind. 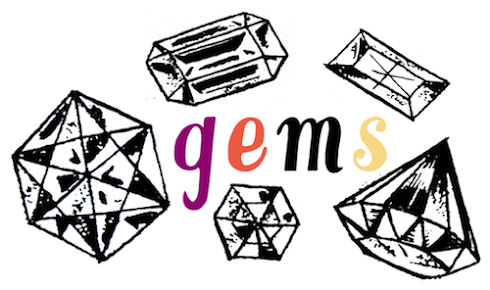 And just for good measure (and because this post isn't long enough! 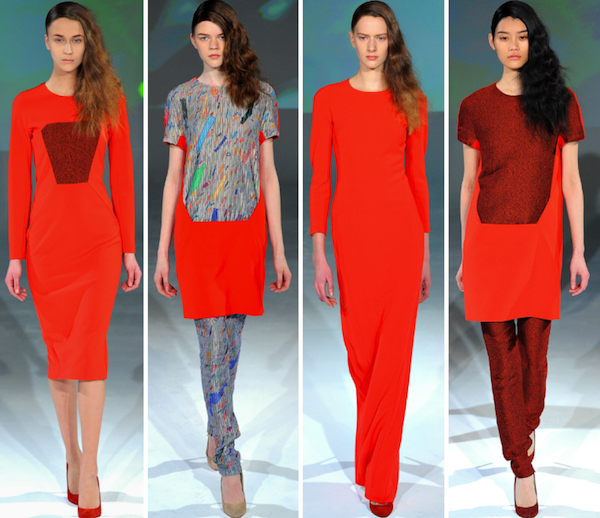 ), a few red dresses from tv. 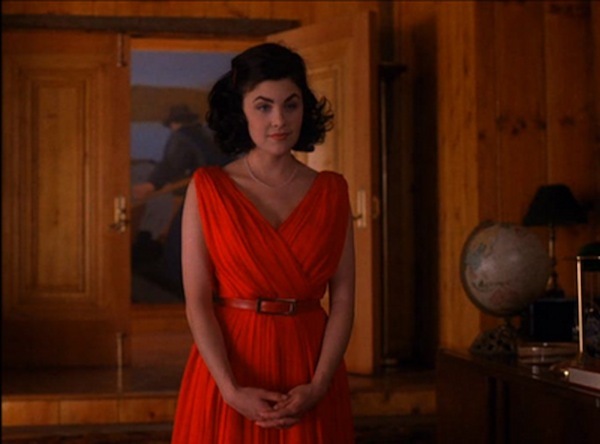 Audrey of Twin Peaks. 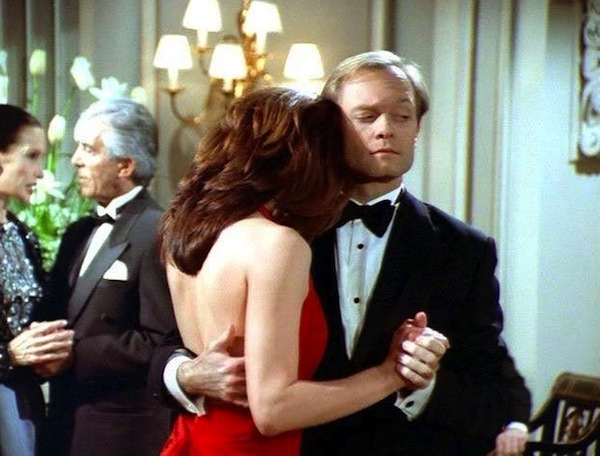 Daphne dancing with Niles in Frasier's aptly named episode - "Moon Dance". 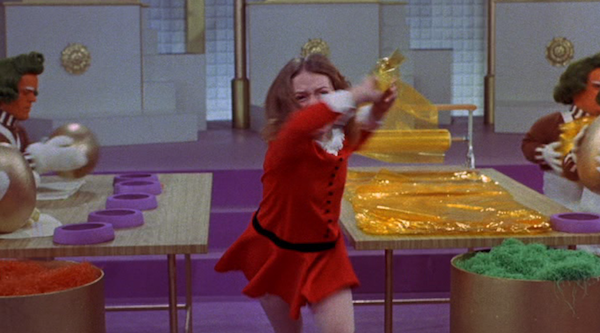 Joan in an episode of Mad Men. 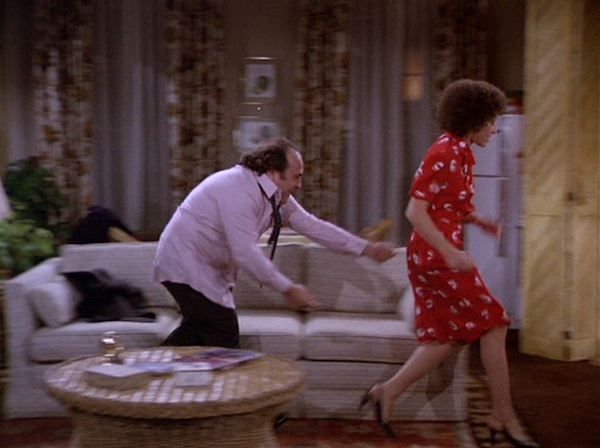 And this isn't the most exciting red dress ever, but I took this screen cap of Danny Devito (as Louie de Palma) chasing his real life wife (Rhea Perlman) on Taxi because I thought it was a funny scene. So. Here it is.